Individual Cast Aluminum Numbers - - five sizes and nine colors. For houses, apartments, hotel rooms, cabins, class rooms, office buildings and office doors -- any place that needs an identification number. Made in USA. Rust free cast aluminum slender numbers. Sizes for all needs: 4", 6", 8", 10", and 12". Custom order. Made especially for you. No returns. 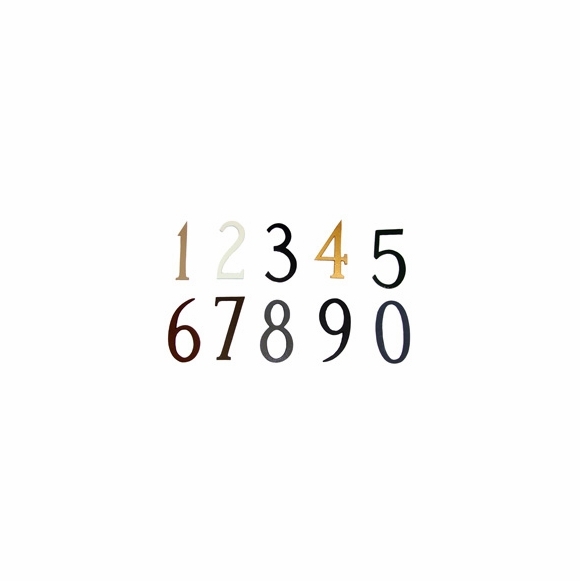 For each number, be sure to select the size, number, and color you want. If ordering more than one of the same size, number, and color, use the quantity box to tell us how many. Distinctive building numbers custom made for you in the USA.